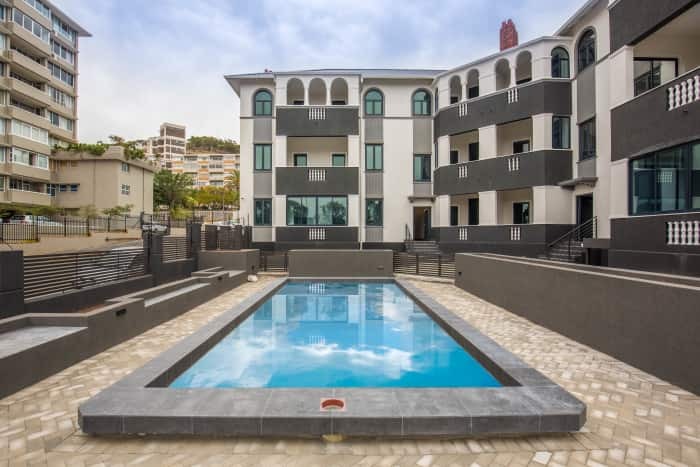 Two and three bedroom apartments are available in the newly refurbished Warwick Mansions in Green Point, a seamlessly integrated fusion of modern and art deco styles. Priced between R5.1 million and R6.595m including VAT, the stunning units have high ceilings, wooden floors, open balconies and two undercover parking bays each. This according to Brendan Miller, Principal of the Atlantic Seaboard office of Lew Geffen Sotheby’s International Realty, who says: “The biggest market driver on balance still seems to be semigration, with around 700 families moving to Cape Town from Gauteng every month. 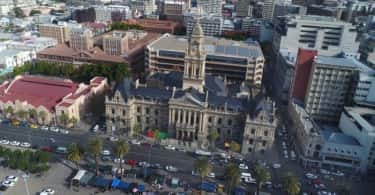 This is underpinned by a dearth of official student accommodation in the city and parents from other provinces looking for compact units that will both see their children through their tertiary studies and offer solid returns when it comes time to sell”. Lew Geffen, chairman of Lew Geffen Sotheby’s International Realty, says: “Cape Town is still by far the most active residential market in South Africa and there is always appetite for the Atlantic Seaboard, but the most active market segment has narrowed to R10 million and below across all suburbs in the area. In the areas closer to the CBD it narrows even further to below R7m. Properties priced correctly for the market sell quickly, but sellers with high expectations are likely to see their properties linger. This has largely been the cause of the sectional title market losing ground in the second quarter”. “The numerous developers active in suburbs like Sea Point and Green Point are finding the market a little tougher, and some have marginally adjusted their prices downwards accordingly”. Propstats lists buyers from China, Germany, the UK, Sweden, Australia, Italy and Japan among the more than 240 property transactions that have been concluded in Sea Point so far this year. And according to Lightstone, the median price for sectional title units in Sea Point is R2.4m, while Green Point’s median is slightly lower at R2.1m. Of the existing home owners in Sea Point 46% have owned their homes for eleven years or more, and 27% for less than five years. The statistics are almost exactly reversed when it comes to most recent sellers – 42% have been in their homes for less than five years and 27% have owned their homes for eleven or more years. Of existing home owners, 67% are in the 50-plus age group, and this age group makes up 51% of recent buyers. Among recent sellers 63% are over 50, and 37% are under 50. The statistics are similar for Green Point, where 46% of existing home owners have owned their homes for 11 years or more, and 49% of recent sellers have been in their homes for less than five years. Of existing home owners in Green Point, 63% are in the 50-plus age group, 63% of recent buyers are under 50 and 55% of recent sellers are over 50. Miller says one, two and three bedroom apartments are in demand, and units in the R3m to R6m price bracket are most popular in these two areas. He says one of the main features buyers want in a sectional title home is security, while amenities like on-site gyms don’t top out the list of priorities. 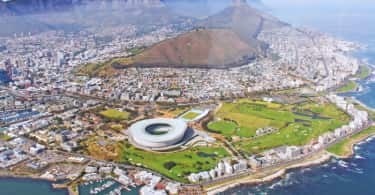 “The Atlantic Seaboard is well-supplied with sports and recreational facilities and buyers are cognisant that these provided on site are likely to result in increased levies, which is a definite drawback during tougher economic cycles”.